The business of jewelry is one of the most fun, exciting and profitable businesses that exist. 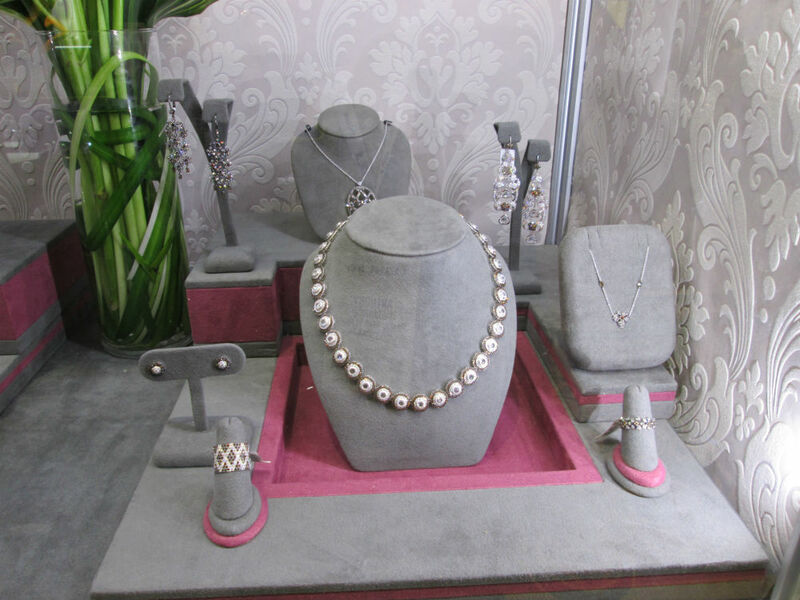 The demand for jewelry by consumers is unrelenting and consistently growing. Like any other business worth pursuing by a new- comer; the jewelry business requires research, ongoing education, focus and persistence. Fear not,the rewards for this effort can be well-worth the investment of time and energy making jewelry one of the best home-based business opportunities available. The world of jewelry is vast and can be overwhelming. It is imperative that the prospective jewelry entrepreneur narrow down to a specific area in which to concentrate there marketing efforts. In other words, you must avoid the temptation to spread-out in several directions. Rather, you should become an expert, a specialist. The ideal is to find a niche within a niche. Stake your claim and mine that pocket deep and hard. For example, sterling silver cat jewelry ,14 KT. gold Celtic jewelry, wire -wrapped birthstone jewelry etc. 1. Buy wholesale-sell retail- Remember, you make your profit by buying well. Any Search Engine will reveal countless wholesale sources, move steadily forward. Do your research. Not all wholesalers are equal. In fact, many so-called wholesalers are not really wholesalers at all and prey on the unsophisticated. Applied knowledge is key here. 2. Import directly from manufacturer and sell wholesale. This strategy is not the best for beginners, but if you have ties and are comfortable with a country like India, Thailand, Mexico and others. This can be a lucrative approach. Start small and learn the ropes before you grow. 3. Become an affiliate for an existing web-based jewelry company. This strategy is excellent for beginners, as it requires no inventory and you use the company’s web-site. Also, they handle the product fulfillment and shipping. This is a great, low-risk way to get started. 4. Join a jewelry MLM- There are some advantages here and some individuals enjoy this type of marketing, again, do your due-diligence before you jump-in. 5. Make and sell your own jewelry- If you have the talent and the time, this path can be very rewarding. One tip, unless you want to be a starving artist; find out what type of handcrafted jewelry consumers will actually buy and produce jewelry for that market. Once you have identified your niche and selected your approach, you need to explore marketing and selling for profit. Here are some suggestions for how and where to sell jewelry. 1. Special Events- Craft shows, wine festivals, Celtic festivals, street fairs etc. In the beginning, concentrate on low-cost booth fees i.e. under $100 until you gain experience. 2. Home parties- Low overhead. These can be a goldmine if you work them well. Referrals are the key to success. 3. Ebay- an easy, low-cost way to sell jewelry on the internet. A. eBay or yahoo store- both are excellent because of there built-in shopping audience and credibility. B. Buy and fix-up a previously owned website-Many websites are For Sale by Owner on ebay. The jewelry business can be a wonderful full or part-time home-based business. Use this article as a basis for your education. Learn everything you can about your chosen niche, study marketing and develop your selling skills. Keep a positive attitude and success will certainly follow.